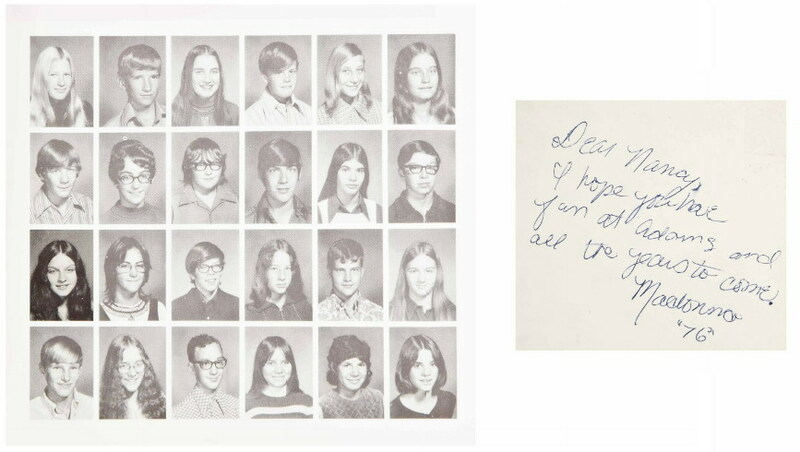 Christie’s auction house in London is selling a few Madonna items on June 12th! A pair of white cotton boxer shorts with green geometric print, unlabelled — worn by Madonna as Susan in the Orion Pictures film Desperately Seeking Susan, 1985; accompanied by a colour reproduction of a film still showing Madonna wearing the boxer shorts in the film; and a document concerning the provenance. 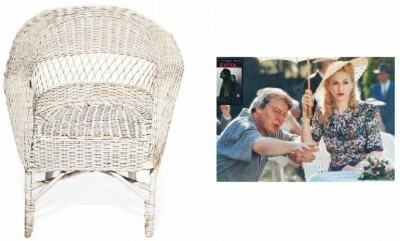 A white-painted wicker prop chair, used by Madonna in the Hollywood Pictures film Evita, 1996 — 31½in. (80cm.) high; accompanied by a colour reproduction of a film still showing Madonna sitting in the chair. 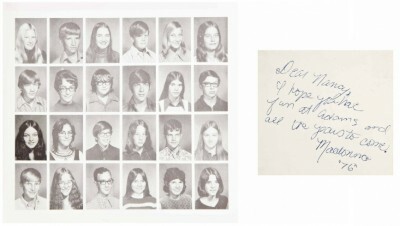 A 1971-1972 High School Year Book for West Junior High School, Rochester Hills, Michigan, with a photograph of Madonna appearing on page 7, with caption reading Madonna Ciccone, the back cover signed and inscribed in blue ballpoint pen Dear Nancy, I hope you have fun at Adams and all the years to come, Madonna “76”.